These regulations implement European Union Directive 74/561, Article 3. You are of good repute. You have appropriate financial standing. The requirements of (EU) Directive 74/561 applies to road freight national and international operations and to road passenger transport. To demonstrate professional competence candidates must sit formal examinations, and in addition successfully complete case studies as part of the examination process. A successful outcome will entitle the candidate to apply for an operator’s licence. 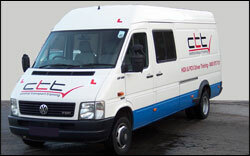 A successful outcome will entitle you to apply for a Passenger Operators licence.